This part covers the coastal area from Hansted untill Stützpunktgruppe Thyborøn. Main locations are the H.K.B. 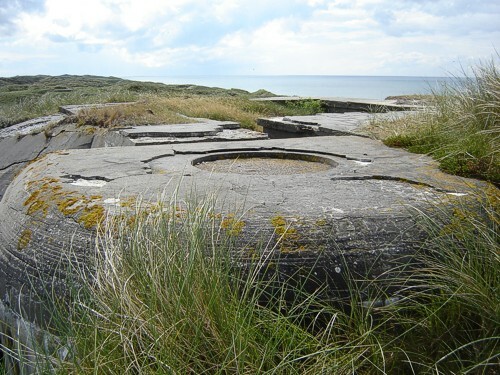 Klittmøller, Stp Lyngby and the fine V 174 at the Agger peninsula. All pictures by Henk Adriaanse. The 636 of the Heeresküstenbatterie Lyngby.